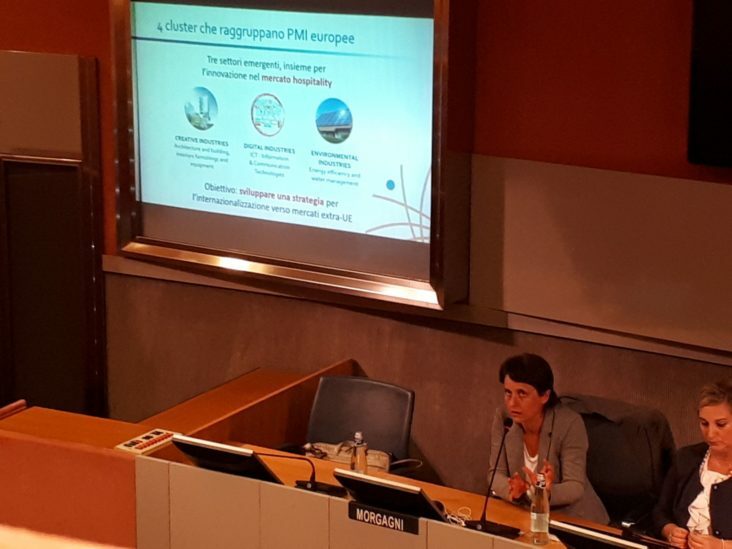 Yesterday, in Turin, at the Torino Incontra Congress Center, it was held the workshop “Planning the internationalization of your company – Strategies and practical tools to start exporting and succeed”, organized by the Torino Wireless Foundation, in collaboration with Co. Mark and the Turin Chamber of Commerce. Laura Morgagni, Director of Torino Wireless, presented a preview of the SENTINEL project, talking about objectives and opportunities for Italian companies that develop ICT solutions for tourism and hospitality market. During the event, ICT and manufacturing companies were able to explore methods and tools to organize an effective sales strategy abroad, with practical simulations of market research and identification of potential customers.